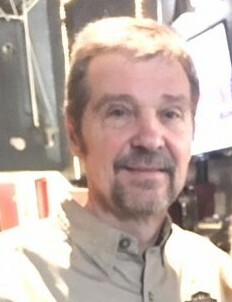 David J. Ziglinski, 68, of New Kensington, passed away Saturday, March 30, 2019 in UPMC Presbyterian Hospital, Pittsburgh, surrounded by his family. He was born April 13, 1950, in New Kensongton to Mary Clista Ziglinski, of New Kensington and the late Chester Ziglinski. Dave worked as a credit analyst for the Eaton Corporation. He was a member of Mount St. Peter R.C, Church in New Kensington and the American Legion Post 48 in Natrona. Dave enjoyed riding his Harley Davidson, watching football, a good fire in his gameroom and spending time with his family. In addition to his mother, Dave is survived by his wife of 45 years, Denise Cardinale Ziglinski; daughters, Tracy (Frank) Weissert, of New Kensington and Jamie (Ray) Moses of Ft. Mill, South Carolina; grandchildren, Isabella, Frankie, Ava, Madilynn, Juliana and Jacob; sister, Joanne Davis, of New Kensington and brother, Richard (Margaret) Ziglinski, of Orange, California. Relatives and friends are invited to attend a Mass of Christian Burial on Tuesday, April 2, 2019 at 11:00 am in Mount St. Peter R.C. Church, 100 Freeport Rd. New Kensington. Burial will be private. Arrangements are under the care of the Cicholski-Zidek Funeral Home, Inc. Natrona Heights 724-224-8688. to send an online condolence please visit www.cicholski-zidekfh.com.